General Motors India Private Limited, the country’s fifth largest passenger car maker, is working towards the launch of its Chevrolet Enjoy Multi Purpose Vehicle (MPV) for the domestic market. The company has taken on an aggressive strategy in the country and has decided to enhance its product portfolio by introducing new models to lure buyers. At present, Maruti Suzuki ErtigaMPV is the undisputed champion of MPV segment of the domestic passenger car market. Hence, some fireworks can be expected when Chevy Enjoy takes on the Ertiga model, upon its arrival on the Indian turf. The seven- to eight-seater Chevrolet Enjoy was unveiled to the general public during the 2012 New Delhi Auto Expo. The Chevy MPV received a lot of media attention owing to its distinctive looks and spacious interior setting. As per reports, General Motors India is believed to have begun manufacturing operations of the yet-to-be launched Enjoy model at its Halol unit. Industry experts feel that the American car maker could offer its Chevy Enjoy at introductory prices close to Rs. 6 lakhs in the domestic car market. Speaking of under-the-hood specifications of Chevrolet Enjoy, the stylish MPV is anticipated to be launched in both diesel and petrol powered models in the country. The petrol Chevy Enjoy is expected to come fitted with a 1.4 litre engine rated with a peak power output of 94 bhp, whereas the diesel trim could incorporate a 1.3 litre powertrain under its hood. The sub-1.5 litre diesel engine will allow the Chevy MPV to benefit from the excise duty cut offered by the Indian government. Upcoming Chevrolet Enjoy to challenge Maruti Suzuki Ertiga. On other hand, the country’s best selling MPV, Maruti Suzuki Ertiga is also offered in both diesel and petrol models to the domestic audience. The petrol trim of Ertiga is powered with a 1.4 litre, 1373 cc, K14B K-Series engine with VVT (Variable Valve Timing) that rolls out peak power and torque equations close to 94 bhp and 130 Nm, respectively. Further, the Ertiga diesel comes fitted with a 1.3 litre Multijet DDiS (Direct Diesel Injection System) diesel powertrain with Variable Geometry Turbo (VGT). The 1.3 litre DDiS engine churns out impressive power and torque equations of 89 bhp and 200 Nm, respectively. At present, the Maruti Ertigamodel carries retail values in the range between Rs. 6 lakhs and Rs. 8.7 lakhs in the domestic car market. The upcoming Chevrolet Enjoy is anticipated to bear price tags starting from Rs. 6 lakhs that could go on till Rs. 8 lakhs. Hence, from the pricing front both Ertiga and Enjoy will give a tough competition to each other in the MPV segment of Indian auto market. 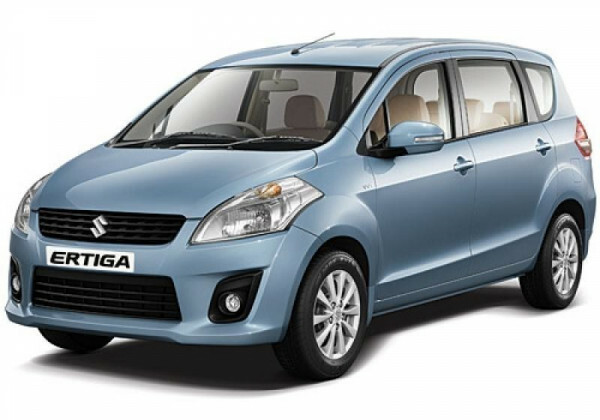 However, it must be noted that Maruti Suzuki is definitely the more established player and any rival to its Ertiga will have a hard time in convincing the domestic car buyers.